This is most probably the refresh of the 522. This newly redesigned notebook is almost in direct competition to the HP Pavilion dm1 but with only a matching price is it enough to sway you into taking it home instead? Basically the 522 with a bigger screen and a more common HD resolution, this new model tops itself off with a nice color palette and tactile wave patterns on its hood veering away from the conventional solid top. Sporting the familiar C50 fusion processor, it isn’t quite as powerful as the dm1 in that department. The shop display also boasts the inclusion of a 500GB storage and Win 7 Home Premium. 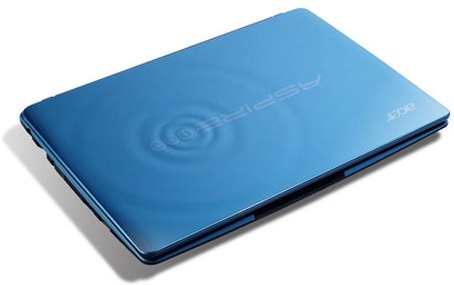 It may also come with an external optical drive as its Intel counterpart had the promo item. The netbook looks solid and probably would operate just the same however, black keyboard on light blue leaves a little bit to be desired at least for my taste. With an indicated battery life of 7 hours, that’s a lot of computing time away from a power source, something which cannot be discounted as it plays on portability and reliability which is indispensible in todays mobile computing ecosystem. At a price shy of 23k, similar to how the 522 was priced and almost exactly how the dm1 costs within the more commercial establishments, it looks to be up there on the more expensive side for this particular netbook segment.